Microsoft may have been mum about it, but Windows 8 sales and deployment has been rather slow. The new OS was launched towards the end of last month. Microsoft claims to have sold 4 million copies within the first 3 days of launch, but stats from the web analytic company, NetApplications, shows a different picture. 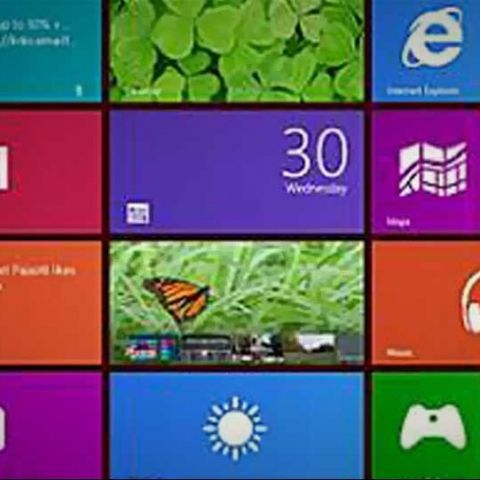 According to the data from the company, Windows 8 has just 1.04 percent of the global desktop market share. Incidentally, Linux also has the same amount of market share as Windows! Apple’s Mac OS X has 9 percent market share. But the real contrast is with the Windows 8’s predecessors. Windows 7, all versions combined, has 45 percent market share, while the even older Windows XP still resides on 39 percent PCs globally. What really makes Windows 8’s initial sales look shabby is the fact that Windows Vista still manages to be alive, and has 5.4 percent market share! This survey data was compiled up to the week of November 11. The tablet market doesn’t improve Windows 8’s fortunes either. According to the data from NetApplications, Windows 8 has just 0.02 percent of the tablet market, while Windows 8 RT Touch statistically, has 0 percent so far. The company does state that the data captured is raw data, but we surely agree that this is a very good indicator of how the consumers look at Windows 8. This data follows up the survey by security firm, Avast, where 70 percent of the respondents said they do not plan on upgrading to Windows 8. This data is rather surprising, at least for us. After all the noise that Microsoft made about Windows 8, through all possible mediums to reach the consumer, there can be no excuses about the consumer not being up to date about the new OS. Also, we will surely take any figures released by Microsoft in the future with a pinch of salt. After all, where did those 4 million Windows 8 copies sold in the first 3 days go?